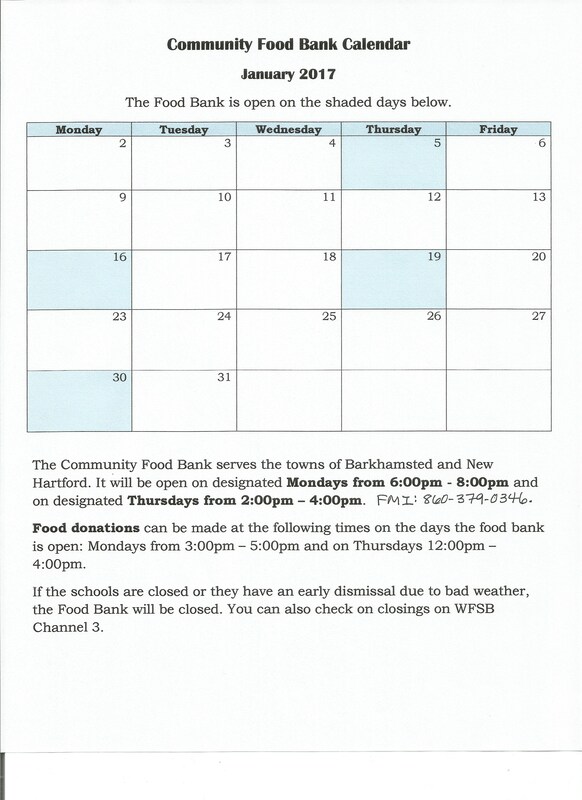 The January 2017 hours of operation for the Community Food Bank, housed at the Pleasant Valley United Methodist Church, can be found on the calendar below. Some changes have been made to the Food Bank. We are now located on the first floor at the back of the church. No more stairs!! Yea! If you’ve not come to the Food Bank because of it’s location in the basement, please come see us in our new location. It’s much easier to reach.